Last week, I recorded my version of "Compadre," written by Jay Gottlieb. Jay is a friend of mine from California, and I was excited to learn his song. Aside from that, I was asked to play at the Paris Texas Antique Festival in Paris, Texas, on October 28th. It looks like I'll be playing from 8-9pm (this may change), before the dance band gets started. Admission is free, and I hope to see all my Dallas peeps there. Howdy neighbors! This is my new website. I worked on it and then had to turn to Shelly Clemons of Darker Violet Designs for help. If you have any constructive criticism, I'd love to hear it. If you think of features you'd like to see that I don't have, just drop me an email, and I'll get right on it. Please be patient with me, too, as I work out the bugs and get the content up and running. My music career has been rolling along - never as quickly as I would like, but I'm still rolling along. I've won my first award: My Prayer was awarded 2nd place in the singer/songwriter division of the Austin Songwriters Group at their Spring Song Contest 2011. It is a huge honor - and I'm so glad to know that a song I wrote has touched other people. If you would like to give it a listen, you can do that through ReverbNation on the right side of my webpage. Hey there, friends. 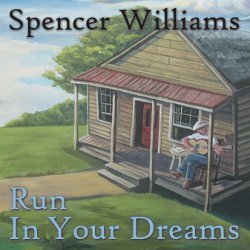 At the end of last year, I released my first CD, Run In Your Dreams. I was terribly excited to work with Lloyd Maines on this project, and I couldn't be happier with the finished product. 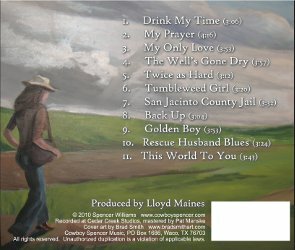 Terri Hendrix plays a mean harmonica on a couple of tracks also, and John Silva does a fantastic job on the drums. You can hear some of it at my ReverbNation page; of course, the best place to hear it is to come out to one of my live shows.